There’s a sense of rich culture, vast history, interesting traditions and deliciousness in the air of this city. It’s visited by thousands and thousands of people every year, and still remains meticulously clean, calming, and mystical. The vibe here has a therapeutic effect both on mind and body. 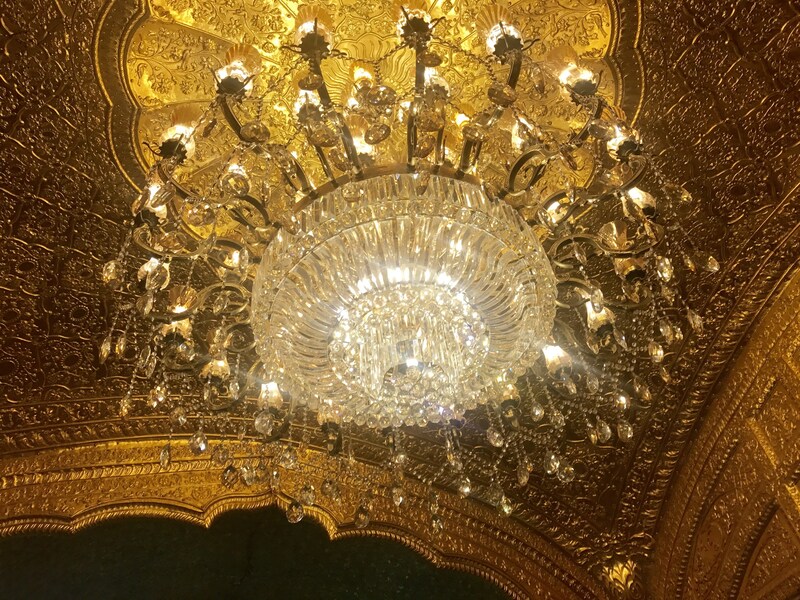 It’s difficult to quantify the blessings and what one takes with them post their visit to the Golden Temple (Darbar Sahib or Harmandir Sahib as we call it). While the soothing Shabad Kirtan (devotional music) purifies the soul and sends a sort of contentment through one’s whole body. On the other hand, the aromatic flavours in the air prepares you for the gastronomic delight. 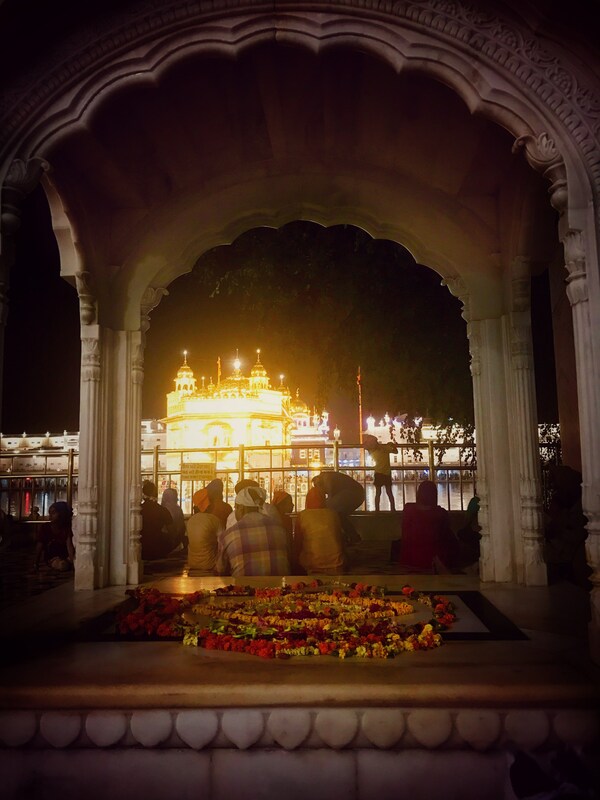 We recently visited Amritsar with our family and like always what an enriching experience it was! It was I guess my 20th visit and every time I’m left speechless by the grandeur and charisma of this place! The city surely beckons travellers from all over the world in search of healing and happiness! A historic city with a rich spiritual & cultural living heritage of ‘Punjabiyat’ – spirit of being Punjabi. This city has many facades and flavours that can be best explored and experienced once you hit the roads and narrow streets. This is a must do in Amritsar as a city walk will definitely take you a step closer to the lives of the locals. Well this goes without saying. 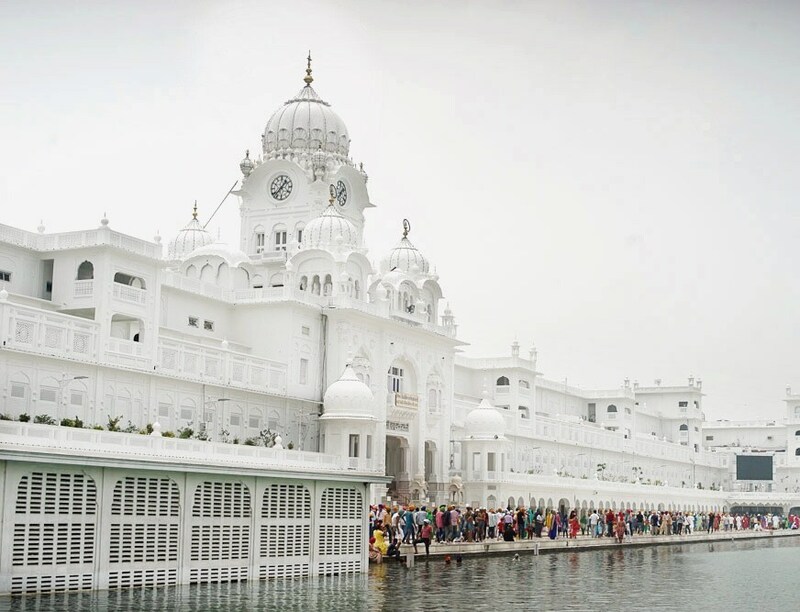 In fact, A visit to Amritsar is incomplete without visiting the Golden Temple. Listen to the soulful Kirtan, take a dip in the Sarovar(the holy lake), get immersed in the pious ambience, and last but not the least gorge on heavenly Langar. 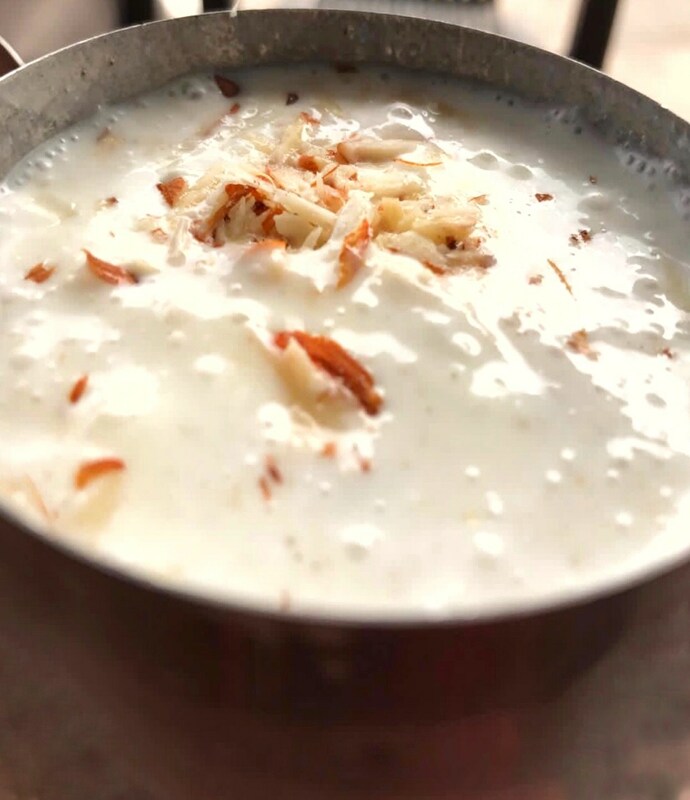 The divine taste of this meal, while sitting together with people from all walks of life in a common hall, united by a string of belief, definitely strengthens one’s faith in the universal power of food and almighty. 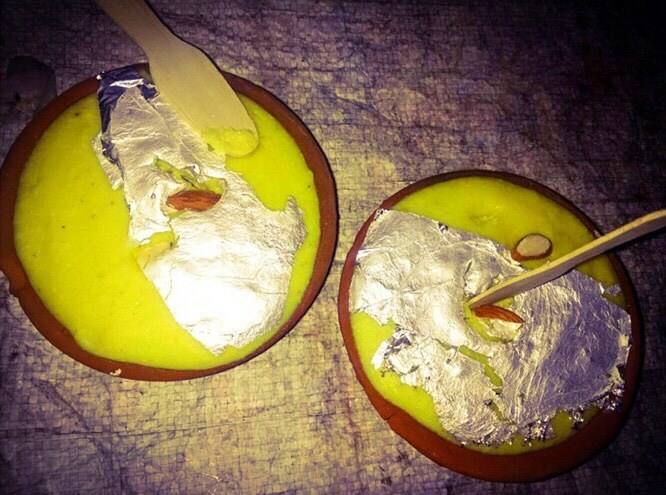 And no to mention the hot ghee-infused Kada Prasad and there’s nothing really like it. You’ll have to jostle through the crowd (Sangat) to taste it and what a heart warming experience. 2. EAT, EAT AND EAT! You gotta stop thinking about how buttery, oily or sugary your food is, Haha Just let go and binge binge binge! You can burn those calories later. Thick yummy chilled lassi, Dal makhni, Shahi Paneer, Pindi Chole, Stuffed Kulche, Garam Garam (piping hot) Paranthe with loads of Makhan. I know your mouth is watering, because mine is! I’d suggest you a few amazing places in the city where you could find all of the above. 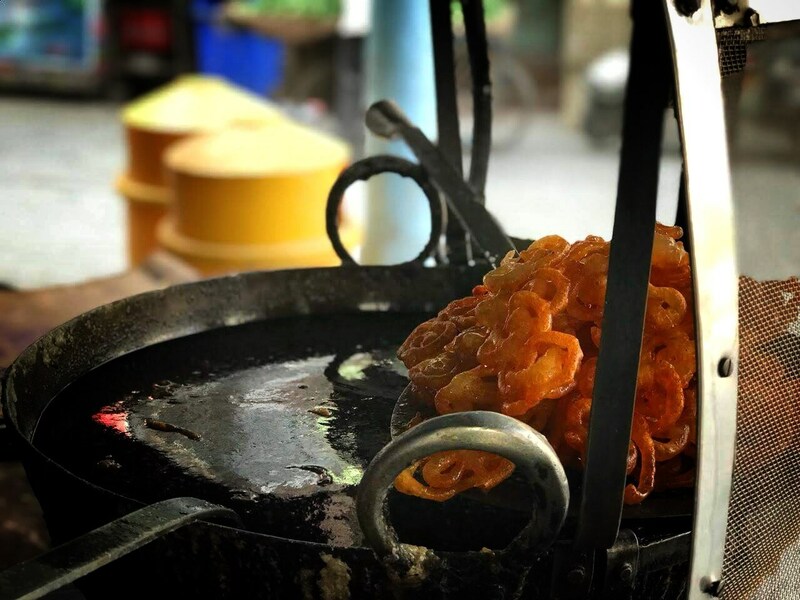 Kesar da Dhaba, Bharawan da Dhaba, Bhai Kulwant Singh Kulchian wala, Ahuja Lassiwala, Kanha Sweets at Lawrence Road, Legendary Jalebi wala– Gurdass Ram Jalebi Wala. And there’s a small kiosk outside Golden temple (it doesn’t have a name) it’s run by an old man who makes super delicious Kulchas. In fact better than the most famous ones! Do try it out. 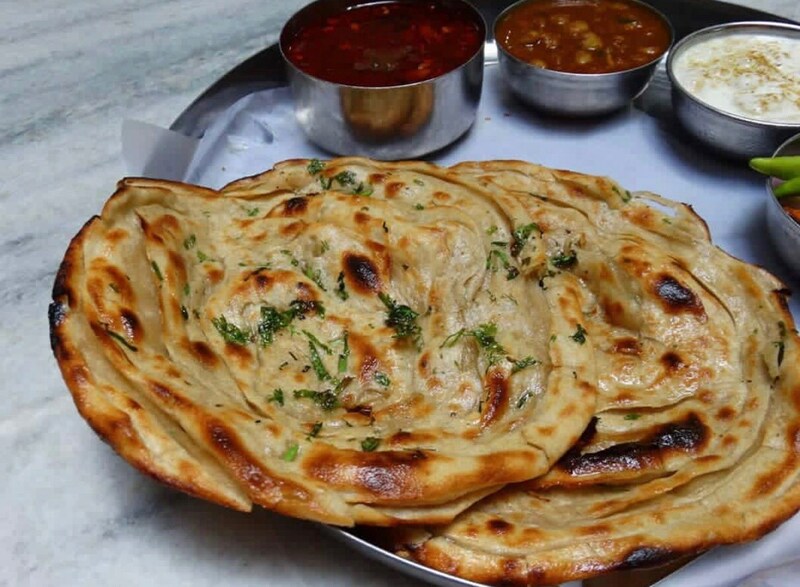 A true Punjabi food lover can never get enough of these places and of course this delicious food I bet! All these things were on our list and we wandered around the city trying all these delicacies. After devouring all of that delicious food Sandeep, Sunrose and I spent the rest of our day in a food coma-induced haze! But we were absolutely fresh in the evening for some shopping! Well I don’t know about the boys but I was totally fresh, happy and excited to get on the shopping spree, so mom and I hurriedly got ready and dragged these guys out as well lol! 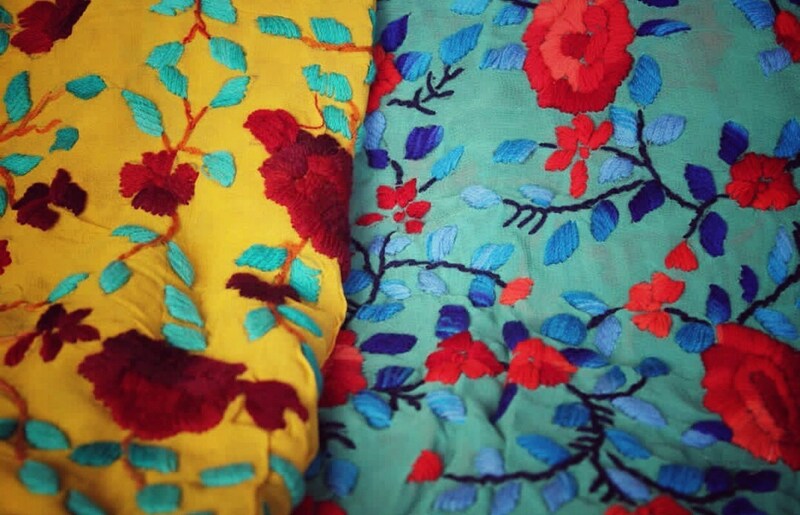 When in Amritsar, shopping Phulkaris and Amritsari Jootis becomes a must! And I just love them to the core. It was fun wandering the busy market streets and peeking inside the shops where shopkeepers sit eagerly awaiting the arrival of customers. There are no dearth of markets in the city selling local garments, jewellery, jootis, handicrafts etc. To satiate your shopping cravings go to the below mentioned places and you can thank me later. I just love the organized chaos that takes place on these streets here. • Katra Jaimal Singh Bazaar– You’d get all your favourite stuff at an affordable price. The place will be best for those who love rainbow kinda colourful and fine fabrics. And the variety they’ve is just amazing! • Hall Bazaar– It’s one of the oldest markets in the city. 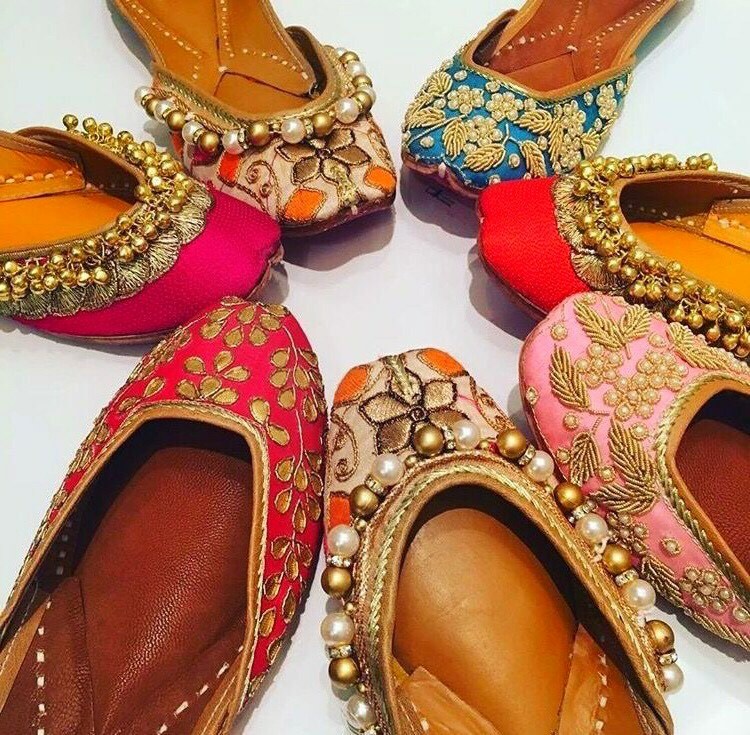 Everything from clothing, footwear, food items, handicrafts are available here. Apart from these, the market offers many other exciting items which make the best of the souvenirs. 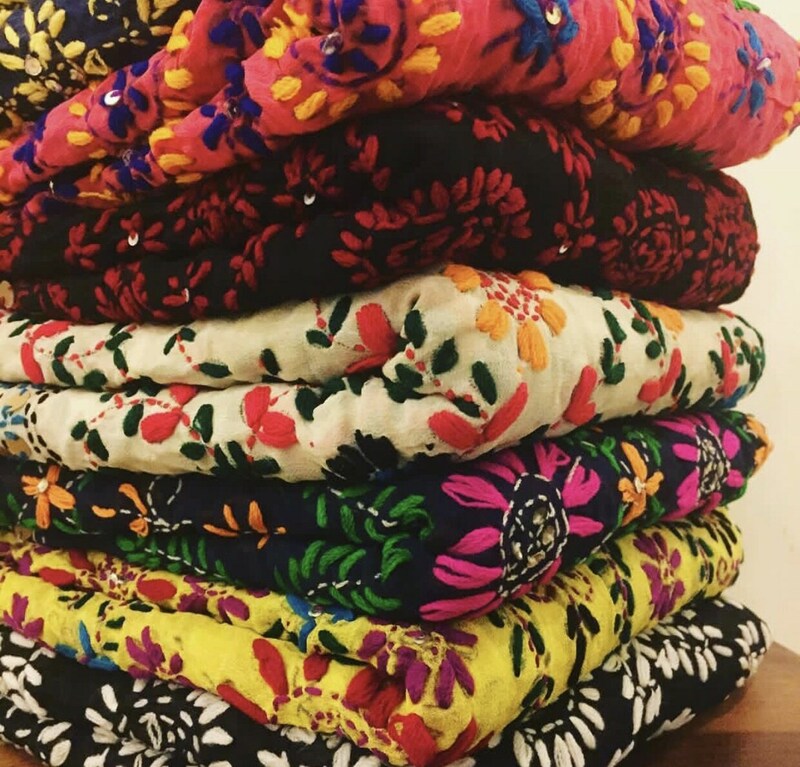 • Lahori Gate Market– It’s near Hall Bazaar, Here you’d get Pashminas, woollens, Juttis, shawls. This place is also quite popular for budget hotels. • Guru Bazaar– Want to get funky jewellery? Head to Guru Bazaar and you’d absolutely love the variety. 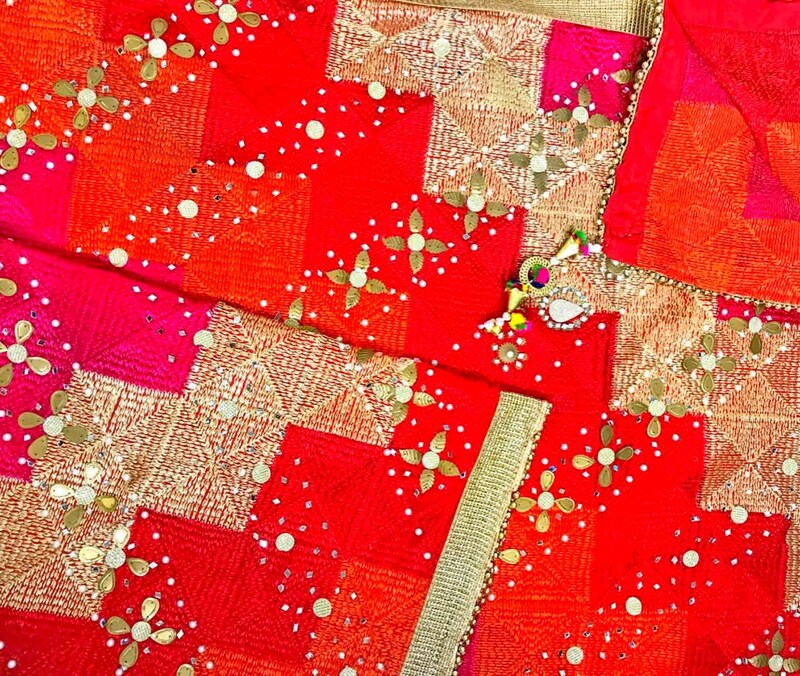 You can also find the traditional Indian jewellery which is called ‘Jadau’. • Shastri Market- Ok so this is one of the most popular wholesale markets in Amritsar. And is always crowded due to its proximity to the Golden Temple. You’d get endless variety here that too at a very reasonable rate! 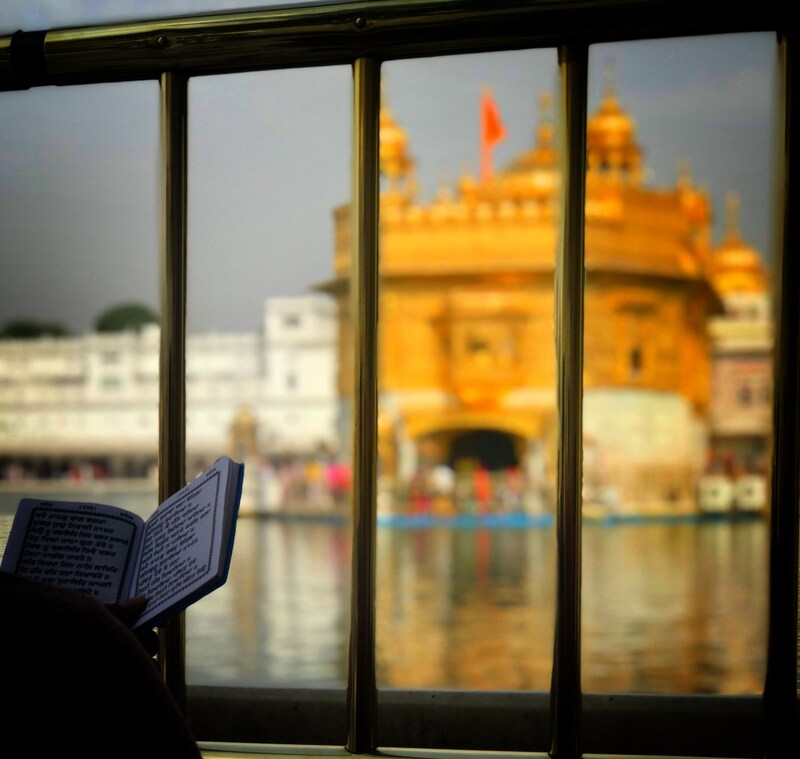 With its vibrant culture, rich history and religious significance, Amritsar is undoubtedly a place like no other. 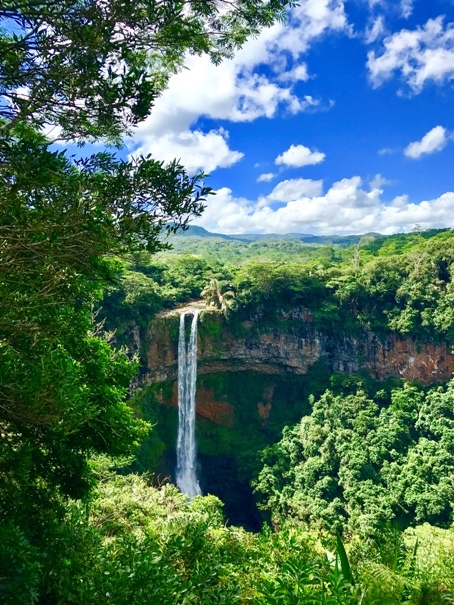 A perfect place to immerse yourself in a little spiritual solace or to reflect on life, a Foodie’s ultimate delight and ya a shopper’s paradise! 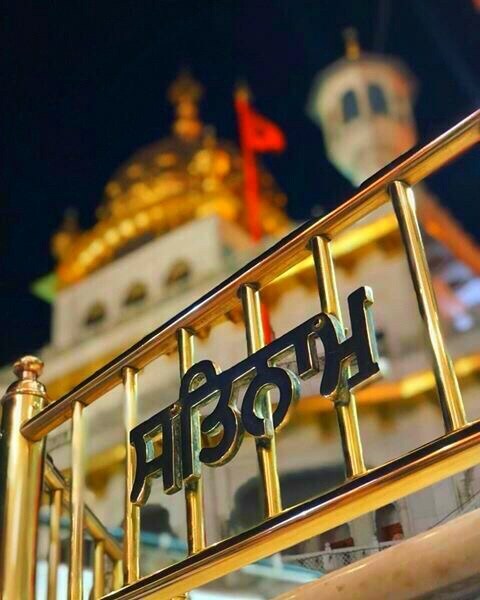 So guys have you been to Amritsar, if yes then do share your memories. If you know few places that I haven’t mentioned, You may tell in the comment section below. It will definitely help in reaching out to those who are constantly searching for great places to eat and shop in Amritsar. 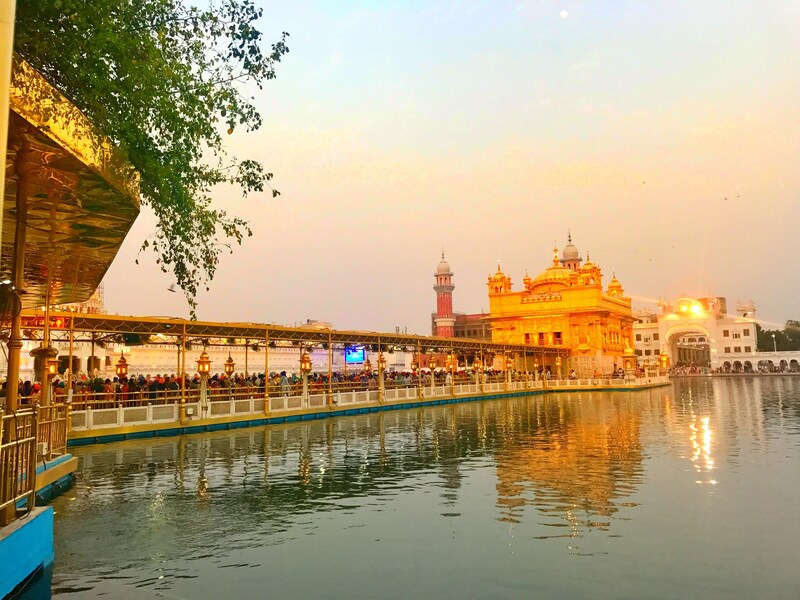 So what are you waiting for, share this article with your family, friends and let these must do things help them to explore Amritsar to the maximum, Happy Travelling!